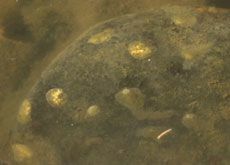 Most Lepidopteran species with aquatic larvae are placed in a single family, Crambidae. However the taxonomic status of Lepidoptera is under revision. 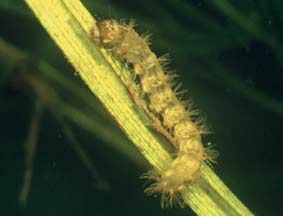 Ecology: Instream habitat: Aquatic lepidopteran larvae occur in still, slowly or rapidly flowing streams. 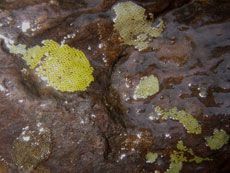 They are found on or in aquatic macrophytes and on rocks. 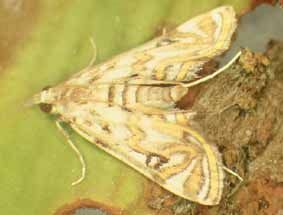 Feeding ecology: Crambidae species are herbivorous shredders feeding on algae or aquatic plants. Many adults do not feed, especially short-lived species, but the longer-lived adults feed on plant juices. 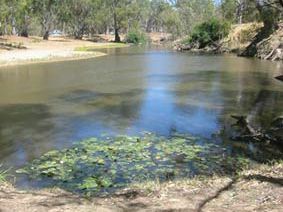 Habit: Commonly known as ‘aquatic caterpillars’, aquatic lepidopteran larvae that live amongst vegetation form shelters by binding leaves or stems together with silk, or cut out pieces of leaf which they join together to form portable cases. The larvae which form portable cases, protrude from the cases so they can swim or crawl about to feed. 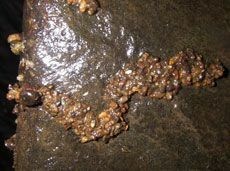 Larvae that live on rocks in fast-flowing water live beneath a spun silken shelter attached to a rock. These larvae feed on periphyton under the shelter. Pupae in both habitats may be found within silk cocoons within the larval shelters. 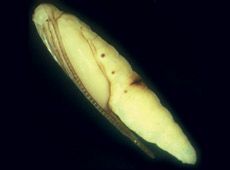 Some Crambidae species respire by filamentous gills, others by a plastron or cutaneously. 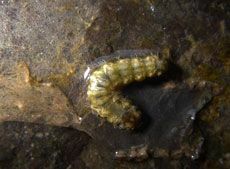 Larvae living in slowly flowing or still water may or may not have gills but larvae living on rocks in fast flowing waters always bear gills. Life history: Adults are nocturnal egg layers. 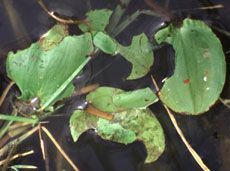 Females of stream species generally deposit their eggs on submerged rock surfaces, whereas those of pond species attach their eggs to the underside of floating leaves. The egg phase lasts from six to eight days up to two weeks. Larvae go through five to seven instars, depending on species. 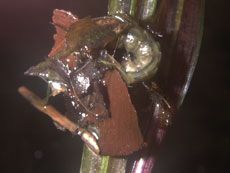 For larvae in Australian vegetation habitats, the first larva burrows into a leaf forming a tunnel then the late second instar larva leaves the tunnel and cuts a piece of leaf then folds it over itself forming a case. 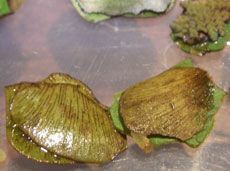 Each larval instar (2 to 6) then leaves the existing case and cuts a new larger piece of leaf forming a larger case. At the time of pupation, the larva makes a silken cocoon that may still contain leaf pieces. The pupal phase lasts less than one month. After the pupal phase, the adult emerges from the cocoon and either, swims or drags itself to the surface, where it waits for its wings to dry then flies away. Adults live from one day to two months, depending on species. 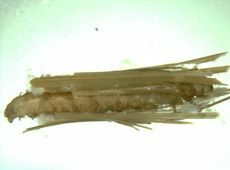 Worldwide, most aquatic Lepidoptera species are uni-, bi- or multivoltine, and typically it is the larval stage which over-winters.